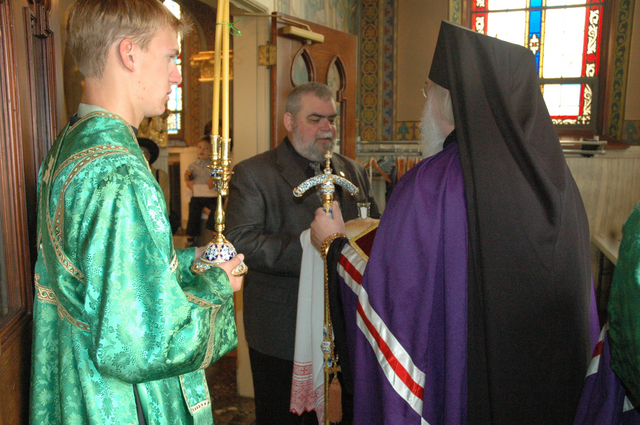 St. Theodosius Cathedral Parish celebrated 110 years of Orthodox Christianity in Cleveland, Ohio on the weekend of September 9&10 2006. 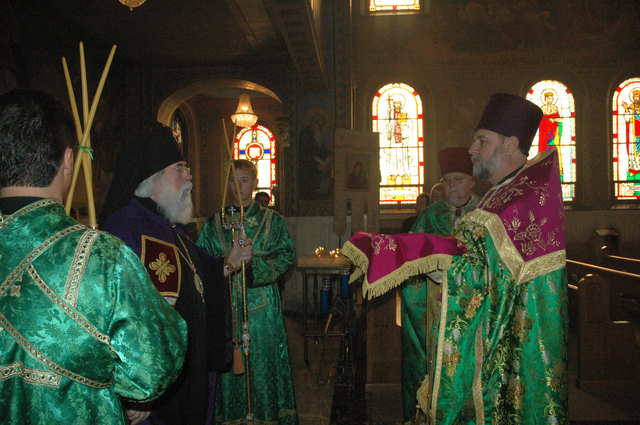 The celebration began with the service of Great Vespers on Friday evening celebrated by Archpriest John Zdinak. 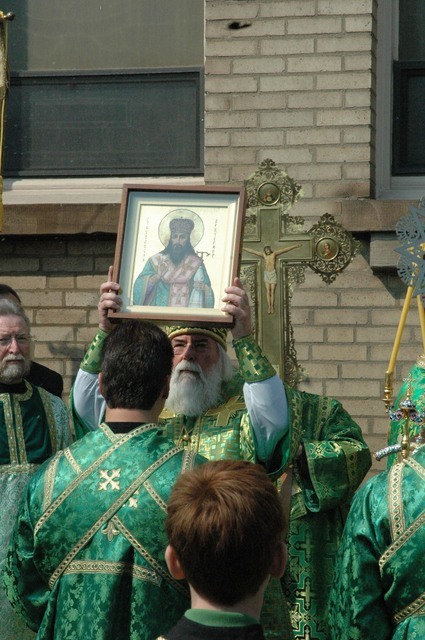 Saturday morning began with the Hierarchal Divine Liturgy celebrated by Archbishop JOB, Archbishop of Chicago and the Diocese of the Midwest. His Eminence was greeted first by Mr. Frank Tkacz, Lay Vice Chair of the Parish Council and then by Fr. John Zdinak, Dean of the Cathedral. 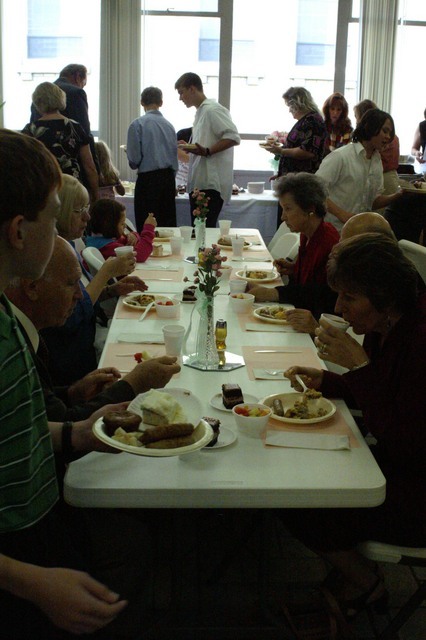 Many faithful from throughout the Greater Cleveland area joined us for the celebration. 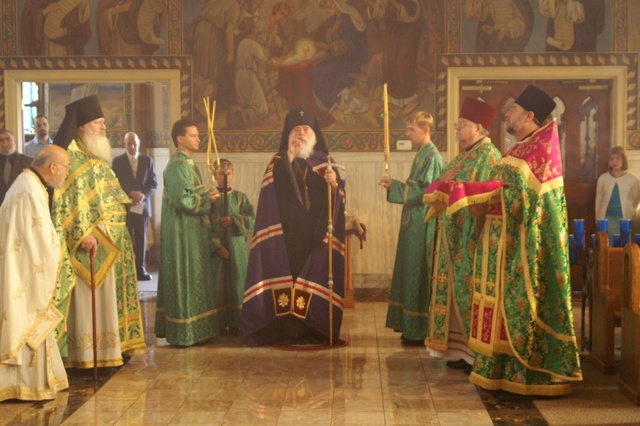 We were also joined by Archimandrite Alexander (Cutler) and Fr. Daniel from St. John's Monastery in Hiram, Fr. Basil Stoyka, former Dean of the Cleveland Deanery and Rector of Sts, Peter and Paul in Lorain, Fr. Andrew Clements from St. Nicholas in Mentor, Fr. 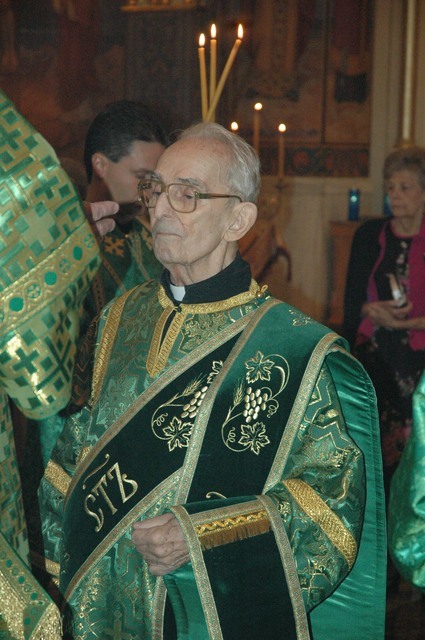 Stephen Jula former parish priest at St. Theodosius and Dn. Joseph Matusiak, Administrative Aide to Archbishop JOB. 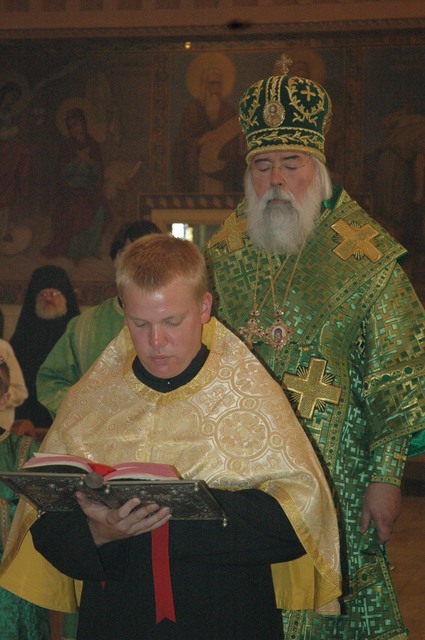 During the Liturgy Gabriel Tabeling was Tonsured to the Rank of Reader. His father, the Reader Michael Tabeling was ordained to the rank of Subdeacon. Gabriel's brother Joseph and Aleksandr (Sasha) Zdinak were blessed to wear the Orarion. At the Little Entrance, Dn. 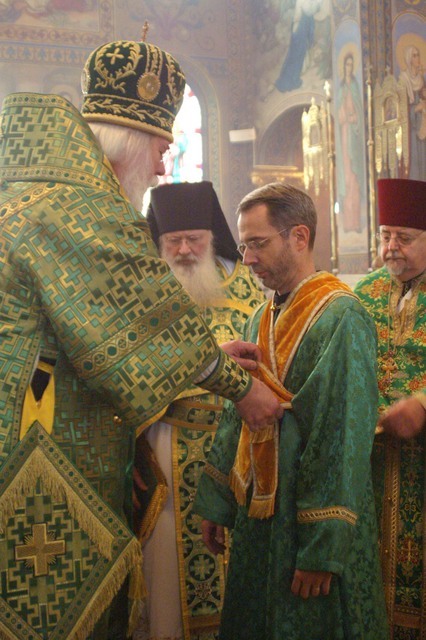 Peter Homik was elevated to the rank of Protodeacon. May God grant them all many years in His service.